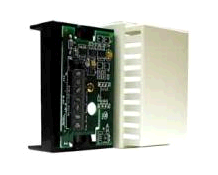 HVAC Digital is a leading supplier of HVAC components and HVAC automation. We specialize in offering timely services and quality products to our customers. We offer a wide range of products including humidifiers, indoor air quality systems, fan controls and much more at affordable prices. Our sales representatives and field technicians are all trained and very knowledgeable in air quality systems. We have earned a great reputation among our customers through our sincerity, integrity and perseverance and we strive hard to provide reliable and courteous service to our customers. Call 866 391 5250 today or visit http://www.hvacdigital.com/ to find out more about our products. KMC Building Automation: KMC Controls beganKMC Controls began as Kreuter Manufacturing Company nearly 35 years ago. Then, as now, our commitment to you can be summed up in the phrase, building your comfort zone. 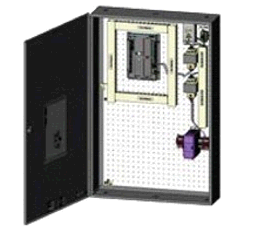 BACnet Controllers: The BAC-A1616BC BACnet (B-BC) combines a high-performance, native BACnet direct digital controller and a BACnet router that is a BACnet (IP) Broadcast Management Device (BBMD). 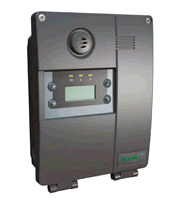 It provides web server capability and expandable I/O in a native BACnet device. As part of a complete interoperable building automation system, this 16x16 B-BC provides precise monitoring and control of connected points. 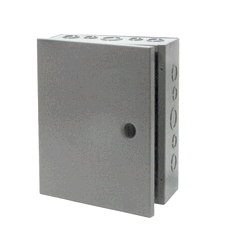 I/O expansion modules (that can be mounted up to 100 feet away) provide the B-BC with a maximum total of 128 inputs and 72 outputs. BacNet Thermostat: The award-winning FlexStat is a controller and sensor in a single, attractive package that creates a flexible solution to stand-alone control challenges or BACnet network challenges. 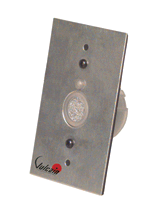 Temperature sensing is standard with optional humidity, motion, and CO2 sensing. Flexible input and output configurations and built-in or custom programming ensure that a variety of application needs can be met. The award-winning FlexStat is a controller and sensor in a single, attractive package that creates a flexible solution to stand-alone control challenges or BACnet network challenges. Temperature sensing is standard with optional humidity, motion, and CO2 sensing. Flexible input and output configurations and built-in or custom programming ensure that a variety of application needs can be met. Such applications include single- and multi-stage packaged, unitary, and split systems (including high SEER/EER variable speed packaged equipment), as well as factory-packaged and field-applied economizers, water-source and air-to-air heat pumps, fan coil units, central station air handling units, and other similar applications. In addition, an on-board library of programs permits a single model to be rapidly configured for a wide range of HVAC control applications. Thus, a single “one size fits all” FlexStat model can replace multiple competitor models.